After sharing a nice FDC on Chinese scenery from Hong Kong Post, I direct my attention its colonial sister across the Zhujiang (珠江) River Estuary - Macau. 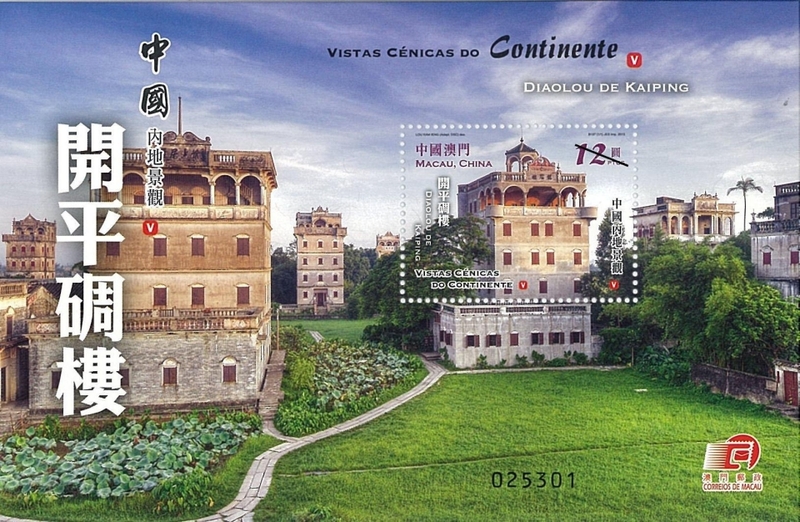 Macau Post featured some of the most beautiful and artistic postage items as well as a very big FDC - a whooping 16.3 x 22.9 cm large envelope. The reason I recall this particular postage administration is because of its Mainland Scenery series - running into its 5th issue this year - which mirrored the aforementioned series from Hong Kong Post. Differing from Hong Kong Post's series is its issuance frequency - it issue an FDC from this series biannually. 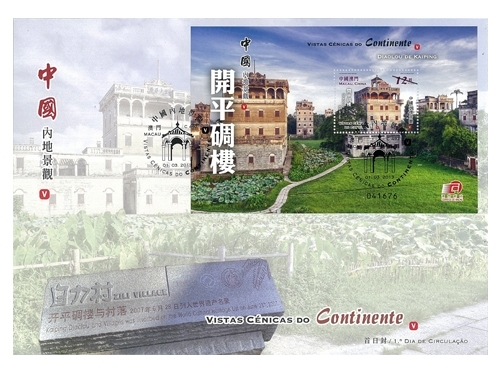 An enlarged view of the miniature sheet (above) and the FDC with miniature sheet attached (below), both featuring the relatively obscure Kaiping Diaolou. 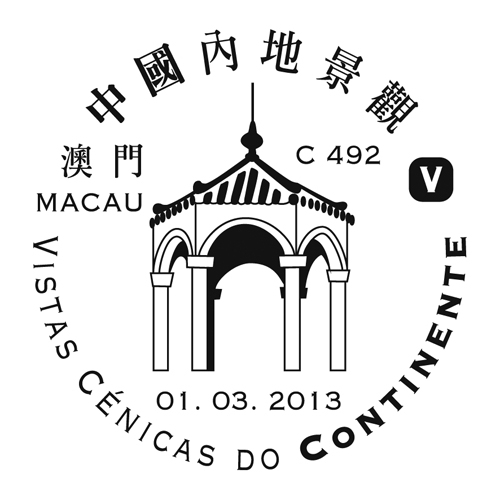 Notice that Macau, with its Portuguese colonial past, still use Portuguese along with Mandarin in its official publications (image taken from Macau Post website). Featured on this year's issue is a relatively less well-known Kaiping Diaolou (開平碉樓), which transliterated to 'Watchtowers of Kaiping'. Together with their surrounding villages, they were inscribed into UNESCO's World Heritage List in 2007, making them the 35th entry of the list. 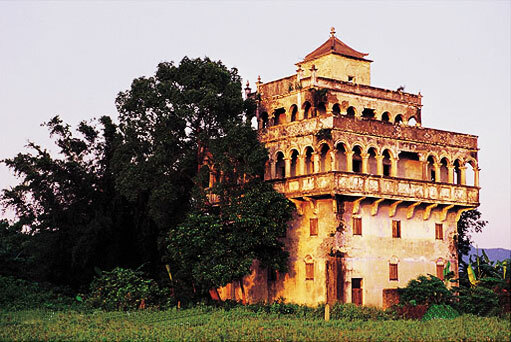 They are also the first heritage site which the economically booming province Guangdong boasts. 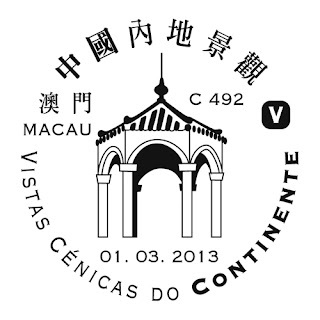 The postmark/cancellation featured on this issue of FDC (image taken from Macau Post). The towers existed since the late Ming Dynasty and early Qing Dynasty, but boomed in numbers in the 1930s. Sadly, only about 1,833 are left standing today, each of them a testament to the heydays of the region. 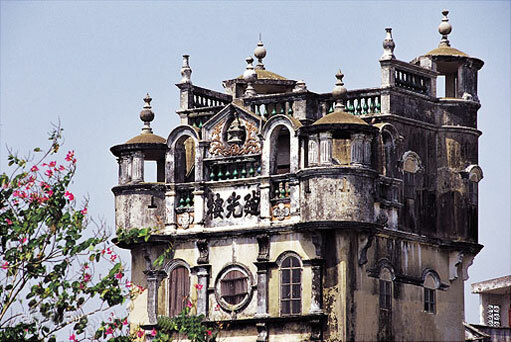 The towers are an architectural blend of Chinese and Western styles, as Kaiping, together with the nearby regions of Enping (恩平), Taisan (台山) and Xinhui (新會) had the most emigrants aboard. The overseas Chinese returned with ideas they themselves observed and learned from foreign countries, and thus bred a blend of styles. Originally serving as defense structures against bandits, some of the towers also doubled as living quarters. Its location as the crossroads of the counties of Enping, Taisan, Xinhui and Xinxing (新興), which were collectively known as 'The Disregarded 4' (四不管), as well as an unfavorable geographical landscape, which flooded when typhoon raged, made the county of Kaiping rather infested with bandits. The towers were built by the villagers for the safety of the village, so it is not very uncommon to see at least a few such towers in each village. The vertical structures featured ornate top structures which blended some Western styles into an otherwise oriental building (image taken from China.org.cn). 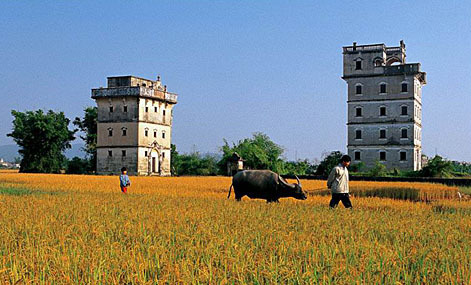 Villagers walking past some of the towers (image taken from China Daily).